Lot 2: Celtic World. Northwest Gaul, Carnutes. AE 15 mm. 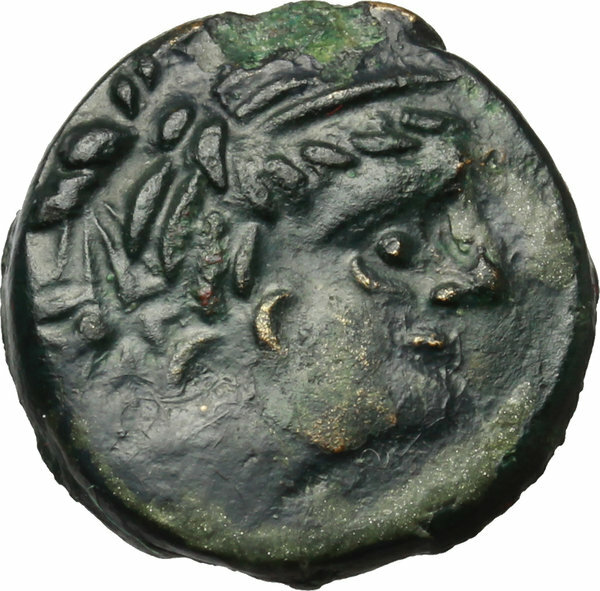 c. 100-50 BC. D/ Draped bust right. 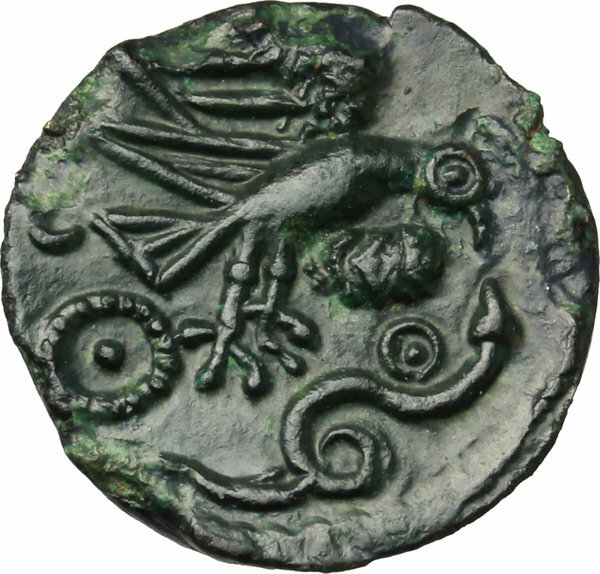 R/ Eagle attacking serpent right; to left, pelleted wheel; to right, pellet-in-annulet. B.N. 6077-6087. AE. g. 2.71 R. Rare and superb. Magnificent enamel-like dark green patina. EF/Good EF.